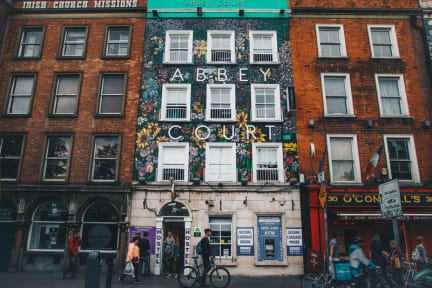 Abbey Court i Dublin, Irland : Boka nu! I haven't sleapt in a dorm in a hostel before, as I recall. This hostel is an enterprise that takes care of everything that a tourist or traveller can need, as I see it, and to a modest cost. I concider myself lucky to have got this experience, and have now in my mind another kind of possible accomodation than before.